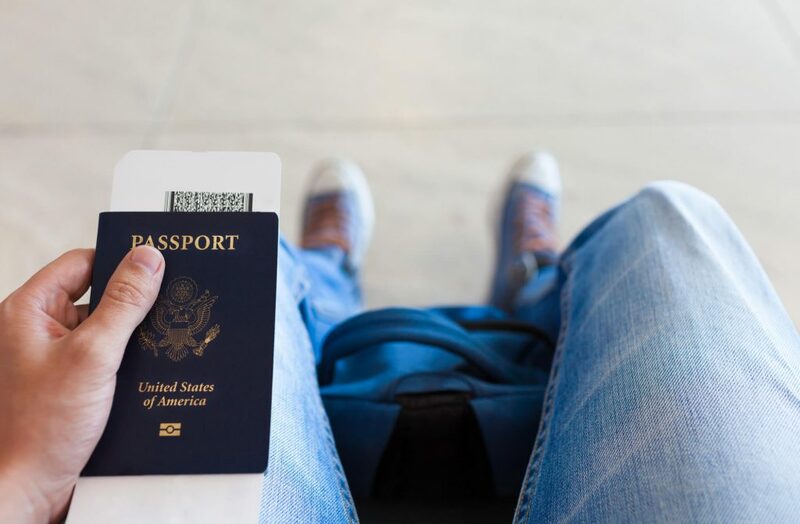 You already may be familiar with the process you’ll need to go through when you’re getting a passport, but there’s a lot of interesting facts about the passport that we’re sure you didn’t know about. To learn these 10 interesting passport facts, simply read our article! The number of United States citizens getting a passport has never been higher. In 2017 alone, interested travelers submitted over 19,000,000 applications to the U.S.
government. This means passport applications have almost quadrupled since the mid-1980s, when less than 5,000,000 people applied. Obtaining and using a passport works similarly to a driver’s license with a few more hoops to jump through. Since you travel internationally with a passport, you must deal with the rules and regulations required by the country you want to visit as well. Read on to learn about getting a passport in the U.S. and some fun facts about passports in general. Thinking about getting a passport for the first time? Here are some interesting facts to know before you apply. Newer travelers must quickly learn the differences between a passport and a visa before beginning their journey so as not to end up stuck. A passport has three main purposes. First, a passport serves as an identification document to verify your country of citizenship. Second, most countries require tourists to present their passport to gain entry into the country. Third, it allows you to regain entry to the country that issued the passport (your country of citizenship). As with any visa, tourists get a set number of days to travel in the country before their visa expires. This varies depending on the tourist’s country of citizenship. In England, for example, U.S. citizens may receive a “visa upon arrival” for visits of less than 90 days. Although your passport comes with a clearly listed expiration date, you likely will not be able to travel up to that date. Most countries request that a tourist’s passport be valid for a pre-determined amount of time after arrival. U.S. citizens traveling to the Schengen Area in Europe must show that their passport expires no less than 90 days after entry. Other countries, including Russia, China, and Indonesia, require 6 months validity after entry. The U.S. government lists the visa requirements for all countries on their travel website, but double check the country’s own travel website as well. If you want to travel outside the 50 states without a passport, choose from one of the many territories that technically belong to the U.S. The government still considers them a part of the U.S. even if these countries do not vote in U.S. elections. If you plan to travel for an extended period of time, know that you can renew your U.S. passport while abroad. Applying for an international passport overseas does not differ greatly from applying while at home. You access your passport renewal form through the U.S. embassy in whatever country you currently live. Often you must book an appointment through the embassy or go through a third-party agency. Be sure to have your current passport on hand as well as proof of onward travel and any other documentation indicating why you are in the country. Also, know it may take several weeks to receive a new passport, so be sure to set aside enough time before moving on to another country. Taking a nice passport photo proves difficult for most people. They do not allow you to smile and definitely do not allow you to take the photo yourself. A new company, ItsEasy, developing a passport application app may make the no-selfie rule a thing of the past. Their application comes with a selfie mechanism to use in your passport application. The first references to a passport-like travel document come from the Hebrew Bible. In the story, an official asks King Artaxerxes I for a letter to grant him safe passage into another land. Historians credit King Henry V with inventing the first passport used in the modern sense. He wanted English citizens to be able to prove their citizenship when traveling to foreign lands. The majority of European countries stopped using passports after railroad travel became popular in the 1800s. They brought them back during World War I to minimize the movement of spies. When standing in line at customs or border crossings, you may have noticed that different types of passports come in different colors. Every international passport features one of four colors: black, blue, green, or red. The U.S. passport has been blue since the 1976 Bicentennial celebration. Most countries in the European Union have burgundy passports. Countries that want to join the EU often change the color of their passports to the same burgundy color, like Turkey. Islamic countries tend to use green passports because the color has great significance in Islam. Starting on January 22, 2018, the U.S. government requires domestic travelers to present identification in compliance with the Real ID Act. If you want to fly with a driver’s license, your state must have updated their license standards to include all the elements required by the Real ID Act. So U.S. citizens whose states have not yet updated their driver’s license standards cannot use their license to fly between states. These citizens must secure a passport so they can travel domestically. These Real ID Act’s requirements will cause more people to apply for international passports so they can fly nationally. In 2018, two countries share the top spot for the most powerful passport in the world. Both Singapore and Japan can enter 189 countries without needing to obtain a visa first. 10. How Much Does a U.S. Passport Cost? Check out this helpful chart to learn more about how much a U.S. passport will cost. Still have questions about getting a passport or not sure where you want to go once you receive it? Start with one of these awesome countries that I’ve visited to upgrade your life and see what the fuss is all about!